A smart doorbell combining computer vision with Alexa to determine who is knocking outside your door and their apparent intentions. We often notice that when someone comes to our house, we end up opening the door without knowing who the person is and what his/her intentions are. We don’t know whether the person outside is a friend, a burglar, a delivery man, etc. We also have no way of knowing who visited our house while we were not home or if our expected packages had been delivered. 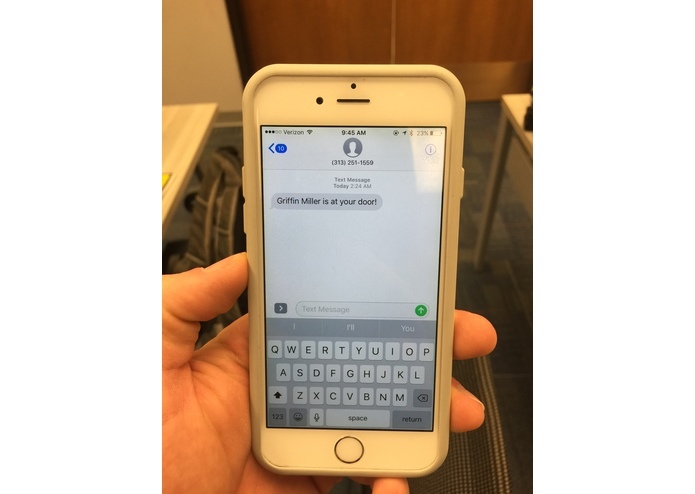 In order to tackle these issues, we developed a smart doorbell that can detect faces with computer vision and then automatically run the photos through machine learning algorithms powered by Azure and AWS to let you know (via text and Alexa) whether the person outside is a friend or a foe. We wanted to improve the lives of people everywhere with the use of the rapidly growing Internet of Things. Modern technologies like Alexa, Machine learning, and AI cognitive API’s immediately at our disposal allow us to rapidly prototype ideas that can make the people’s lives more secure and comfortable. Decibel was designed to be cheap solution to a longstanding problem. It is a smart doorbell with a camera on one end and Alexa at the other. It is designed to improve our home security and to help home owners determine who actually is standing outside the door and his/her apparent intentions without even leaving the couch. • Using Polly to greet our friends. A registration page to register the people who visits our home for the first time as well as social profiles connection. We generally used laptop registration for the people first time , just running a python script using Open CV. 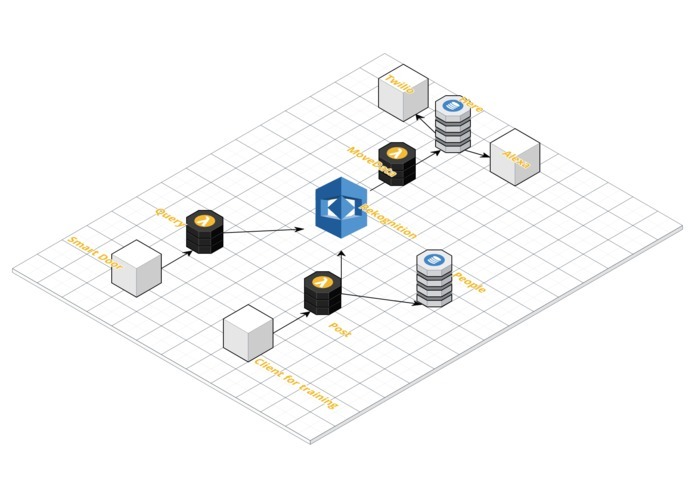 After a person is registered , the pictures were sent as a training data to AWS rekognition and the data of the person stored in a Dyanamo DB table. We then used a raspberry pie to take the live pictures of the people and used Open Cv for face detection when they visit our home next time and one time sent over to AWS to perform the AWS rekognition over those pics to determine the person and one time to Azure Face Api to determine what is the apparent intention of the person standing outside our door. 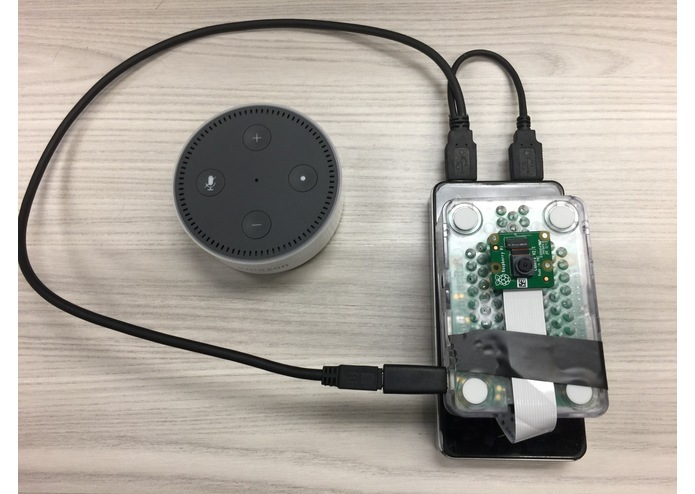 We then developed alexa skills to narrate the commands to the user as well as Twilio API to sent a text if someone is not at home with the information of the name of the person who visited us if he is in our database. It is not impossible to develop a full functional smart alexa integrated doorbell within 36 hours A team can generate productivity and wonders through teamwork, hard work and dedication. 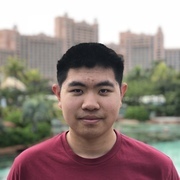 I worked on a node.js middleware for the computer vision and image recognition using Microsoft Azure. I used some basic natural language processing algorithms to generate speech for the Alexa. 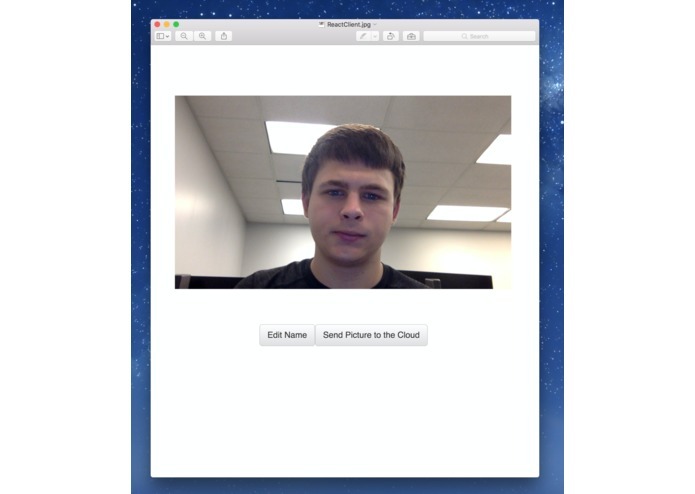 Worked on facial detection using OpenCv and also worked and helped Michael on developing the AWS backend. Built the AWS backend API via the Python chalice framework. Also made the Echo/Alexa skill. Studying Data Science at the University of Michigan - Ann Arbor.